Deadly Premonition and D4: Dark Dreams Don’t Die director Hidetaka “Swery65” Suehiro has the most amazingly bombastic back tattoo I have ever seen. 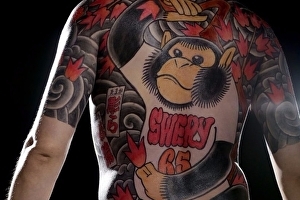 Typically a tattoo promoting oneself would be seen as egotistical and off-putting, but when you get a giant yakuza-style back tattoo portraying your beloved plush monkey pal denoting your nickname, I think we can let it slide – especially if you’re the man who created Deadly Premonition. 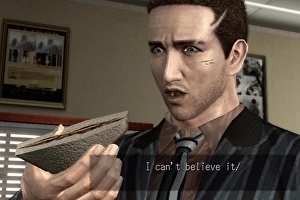 Indeed Swery, who identifies as a Buddhist monk, has to his stuffed monkey Sharapova as his “partner”. Swery noted on his that the tattoo was done by , who operates a sweet studio in Tokyo.